I can't login into my credit karma account - What a disaster! Solution's here. You are here: Home / Computer Business and Random PC Tech Thoughts / I Can’t Login Into My Credit Karma Account – So Frustrating and What Can You Do? 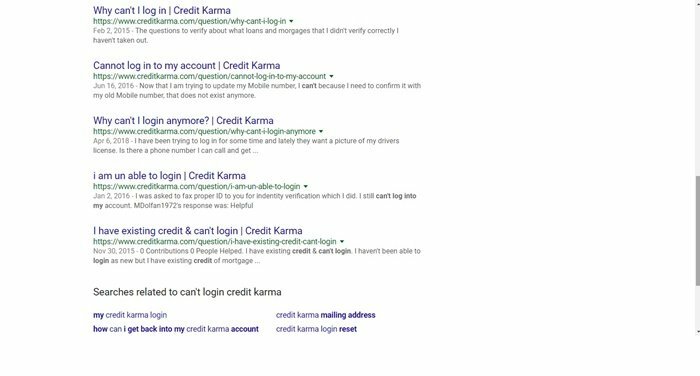 I Can’t Login Into My Credit Karma Account – It is so frustrating and what can you do? The site Credit Karma has brought quite a bit of happiness to a lot of people because we feel like we can finally check our credit score easily, quickly and without having to pay. Why should we pay? Afterall, our score is ours, we own it and we should have free access to it as many times as we wish and not just one time as regulated by the law. With Credit Karma, we can check it several times without affecting our score, it’s free and it should be “painless”. Unfortunately, for me and many others, it did not turn out that way. I can’t login into my Credit Karma account. What to do then? 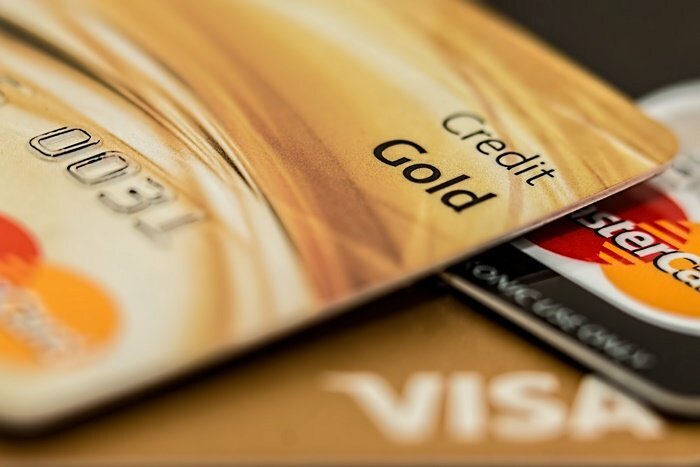 As you know it is important to check and monitor your credit score for a variety of reasons. Here is my experience with this service/company and my suggested solution below which will give you peace of mind; draw your own conclusions. I did login into my credit karma account and I put in my password. To my surprise, after attempting to login so many times, it was not working and could not login. The first thing I did just like you, was to reset the password. After resetting it several times, I could not login into my account YET. This got very frustrating. You also have to fill out a form for security to be able to reset your password (I totally understand this, to ensure it is you and not an impersonator). I figured, after I put in all my personal info, social security, date of birth, etc., that it would work — IT’S GOT TO WORK, RIGHT! But nothing. No luck. Nada. I wrote to support, this is their email: support@creditkarma.com and they asked me to write them back with all my personal info. Absolutely not! I will not share my personal info via email. With such privacy concerns today, more than ever, I will not write down my address, social security number, and whatever else. No way! “I apologize for any frustration during this process. I’ve sent you a link to reset your password. Please ensure that it does not get swept into your Bulk, Junk, or Spam folder by adding notifications@creditkarma.com to your “Safe” or “Allowed” list. Once you click the link, you must follow the prompt to change your password. The password reset link will only work once. “This may just be a technical issue. If possible, please try the same action with a different browser, such as Google Chrome or Safari. For security reasons, Credit Karma is only compatible with the three most recent versions of each browser. If you are not using one of the three most recent versions of your browser, please update your browser and try completing this action again. It looks like you may be trying to login to your Credit Karma account from a new device. This can sometimes cause the error you are experiencing to occur. “Once again, it does not work from my PC, not from my phone, not from any browser, not from a different computer. “I apologize for the issue you are experiencing. It looks like you may be trying to access Credit Karma from a shared internet connection (like public WiFi). If that’s the case, would you mind using a different type of internet connection? Additionally, if you’re using a script-blocking plug-in like NoScript, please allow all scripts on creditkarma.com. “It’s Gmail, it’s this email I write to you with, I am an IT and a website designer and no, I am not on a public WiFi. I access more than 50 sites a day, you re the only to have this issue. You keep giving me instructions, when all you have to do, is reset it for me. Do me a favor please, delete my account in its entirety, unsubscribe me too and write back please to confirm you did that. Wish to have nothing to do with your company, site, any longer, your service is a nightmare! “I’m sorry to hear you want to cancel your Credit Karma account. Keep in mind that for security reasons, once you’ve canceled, you won’t be able to create a new account for six months. You can also send this information to our secure fax line: 1-855-307-7212. Instead of resetting my password from their end or fixing the issue with the reset-password-system or admitting at least that they are experiencing some sort of bug or technical issue, they resign and satisfy my cancellation request. “Wow, I have to mail you to cancel my account? Can’t you cancel it via email? “I can cancel your membership for you if you’re not able to access it. “I completely apologize for the inconvenience. I’m sorry to hear you want to cancel your Credit Karma account. Keep in mind that for security reasons, once you’ve canceled, you won’t be able to create a new account for six months. To cancel online, log in to your account (https://www.creditkarma.com/ about/selfdeactivate) and click or tap the “Confirm cancellation” button. I thank them and that was it. This was nightmarish. I just want to check my credit score for God sake! At this point, I am still not sure if my account got truly cancelled. Based on the above, I don’t know if they are running maintenance on their website and how protected my information is with them. I can’t login into my credit Karma account. No problem, here is a link to reset your password. You reset it, you answer security questions, you can even get a confirmation on your phone (two-step authentication factor), fill out more personal information to verify it is you and YOU LOG BACK IN. Apparently, it does not work that way with credit karma. To them, I say: you might be an excellent company and I love that you might have pioneered a free, easy way to monitor the credit score plus identity theft and more, but get on board with 2019 login techniques or hire a different webmaster and possibly better customer service. Until then, I will not sign up with them. I use a 100 times better, similar service. Which one might you wonder? I was not sure, so I Googled it =), researched it, failed and got frustrated 3 more times with 3 more credit score companies, and finally, I found the one. The one credit score checking service that ACTUALLY WORKS! Subscribe for free below via email and I will send you the solution instantly. I now enjoy checking my credit score, optionally monitor it and with a lot more features. Oh…and I can login just fine now. NOTE: Do not call us regarding Credit Karma. We offer the solution via email (above). Beyond that, we cannot help you further and we are not associated or affiliated with Credit Karma and we are a separate company. The owner described his personal experience with his article and offers a solution. However, if you have computer issues from viruses to errors, CALL US AT 516-828-1418 and we can remotely fix any type of software issues, you name it. We are an IT support and computer repair company and no matter where you are located, we can help you on the fly, safely and via encrypted remote support. If you just skipped to here, again, I am Marcellino, an IT, web designer, SEO expert, advertiser/marketer, and small entrepreneur. Need website design for your business or vanity? 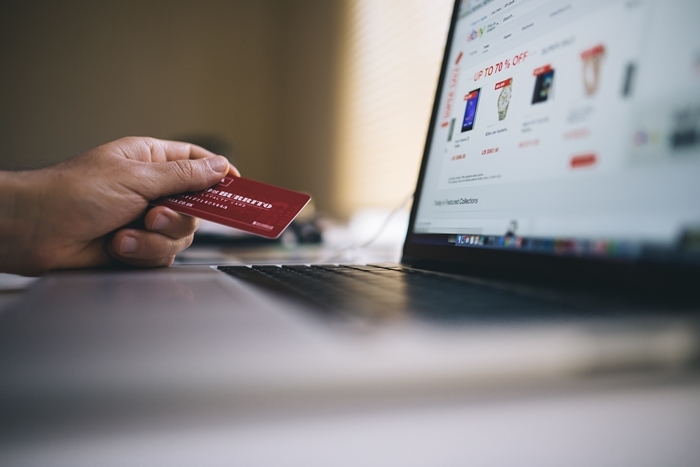 An online e-commerce shop selling your products? I can accomplish it all remotely, and I accept payments via Square, Paypal, email link, and via phone. BOOKMARK ME! Wish to be invincible against any online threats, viruses, hackers, and trojans? Check out my invention: Popnsurf™, it’s people’s secret (opens in a new tab and it is my sister-website). Call us and for a fee, we can configure this via remote support, no matter where you are located.